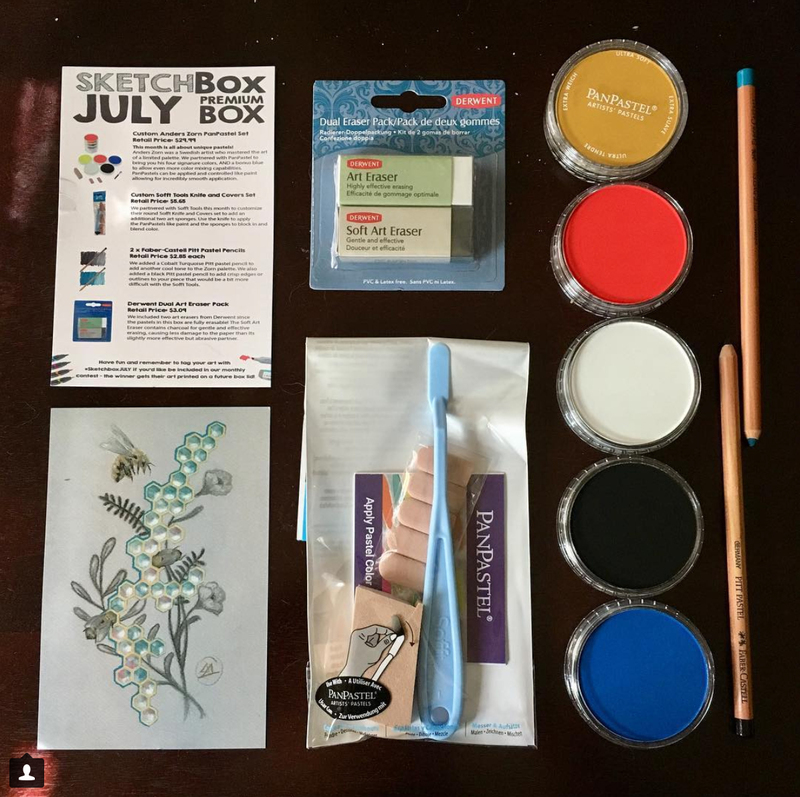 Our July 2018 boxes focused on unique pastels! First up we included a CUSTOM Anders Zorn PanPastel set done through a partnership with PanPastel. PanPastels can be mixed and applied like paint, making them a truly unique approach to pastels. Anders Zorn was known for creating incredible color range from a limited palette. This set is great for blending all sorts of colors giving you a wide range of possibilities for your new piece. Next up we included a CUSTOM knife and sponge set from Sofft Tools. These are specifically formulated to work with PanPastels and are used to mix and apply them. The knife set is great for tighter spots and more control. The sponges are great for mixing before application and covering large areas. Next up we included two Faber-Castell Pitt Pastel pencils to allow you to outline and add some crisp lines to your piece. Finally we included a set of two art erasers from Derwent. Fun fact: PanPastels are fully erasable! One eraser is slightly softer than the other and allows you to work with multiple paper types without damaging your work. This picture was taken by our subscriber @runningjeanfit2 on Instagram.